The last few years have revolutionised digital exposure in India. The way we communicate, with the brands around, has taken a huge leap. Today, the world has moved towards information that’s real-time. And that’s exactly why the amount of content that is consumed digitally is way beyond what one can imagine. The last decade has been the age of social networks. And if we go by the last 4 years, the current decade is touted to be the decade of mobile. From Motion Posters to Print Motion to Geo-targeting Mobile Push to Augmented Reality. It’s all happening out there. Only time will tell the fate of this decade. But if we were to look at the aftermath of the previous decade (and a couple of years more), apart from a lot of good, there’s also a flip side to this erratic world of online communication. Each channel has got it’s own challenges. And all these put together are being thrown at brand owners and marketers today. There have been claims that Facebook is falsifying likes and accounts. Well, if statistics are to be believed, around 33% of Facebook accounts are fake accounts. The strategy seems believable. That’s because they are trying to monetize every pixel on the website. Incidentally, ads are now available in video format too. Their sole purpose of connecting the world, however, is losing its charm. With advertisers spending big bucks on the website, the pressure for showing results is high. The most highly misused term “ROI” is now the cynosure of most client-agency conversations that revolve around the digital world. And clients seldom understand that low “ROI” could be the issue with their product or service. It could also be a result of too much interference into what external Professionals that they have hired are strategising. The expectations are sky high. And so is the pressure. In a game like this, Facebook has the big need to at least show higher likes to pages or posts. Once advertisers / brands see this ROI in the form of likes, they begin to advertise more; that simply means, they spend more. The cycle then becomes vicious. To achieve this, Facebook has been apparently falsifying likes. So, next time you see your name popping out on a page you’ve never heard of before, don’t be surprised. Facebook would have saved you that effort with liking on your behalf! 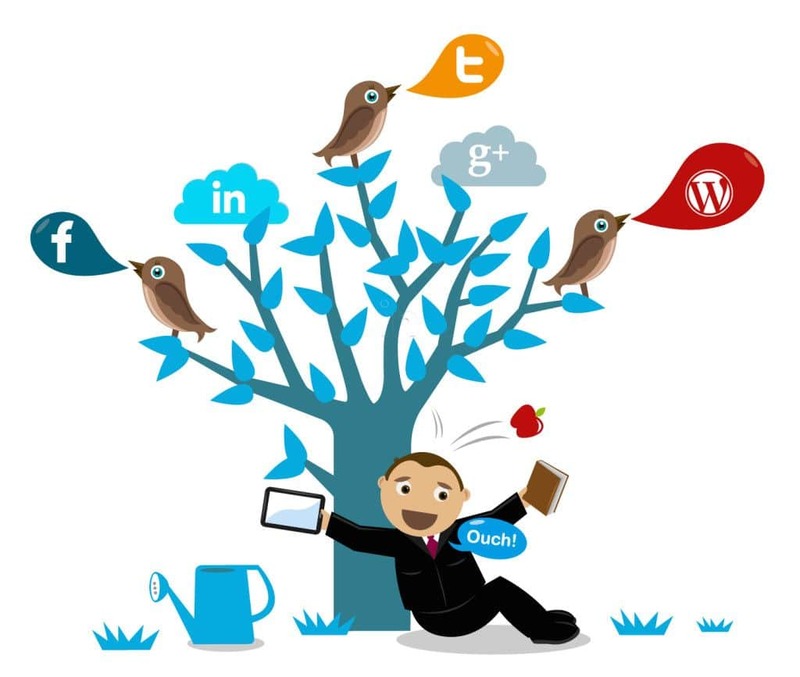 With a strategy like this, saturation is certainly around the corner for this mammoth Social Networking Platform. The attempts of Facebook to buy other growing and more promising mobile platforms like Snapchat (a photo-messaging application that actually turned down a $3 Billion offer from Mr. Zuckerberg) have gone down the drain. Clients of Digital Agencies, with all the digital exposure in India, however, still consider likes to be the only, and the most important, metric to gauge the success of a an online strategy. Budgets are also allocated to meet just that need of theirs. This half-knowledge that brand owners collate from the Internet does more harm than good. With a look and feel that’s dead and gone, it shows Facebook’s heavy influence on the design team. What’s worse is that they couldn’t even copy an existing model properly. There have been several complaints of users who’ve been trying to find out the right size of the cover image for personal profiles and brand pages; the content area is confused with the image size. The result? A confused user! Apart from all this, they are far behind Facebook, in terms of active users (excluding the fake profiles on FB). But their CEO however, ridicules Facebook’s mechanism to collect accurate data from their servers. He feels that though their user base is less, their active users are pretty good. He also feels that Twitter has done an awesome job in terms of monetising the micro-blogging site. Despite all this, one thing is evident that Twitter is no hurry. They are steady with their growth plans. And they don’t intend to inject users and brands with this steroid called advertising. Initially, it remained true to it’s intent of connecting the world… professionally. Since then it has become a big hub for job hunting and job seeking; people also send random requests to unknown honchos, CEOs, HR Representatives, etc., to hire them. It’s like a Job Portal (like Monster.com) going Social. But soon it began to bring in flavours from all corners. With options of Like and Comment, it’s got an undertone of a typical Facebook mechanism too. As if all that was not enough, they decided to come up with Brand Business pages a la Facebook. Even email (LinkedIn calls it Inmail though) was not spared. It began to not just offer free email services to profile holders but sell them at a premium too. From advertising banners to specific target-based hiring ads, it’s on roll. The options seem to be a bit tad expensive to the Indian Marketers who thrive on digital as a medium though. While all this was happening, LinkedIn did not take into account the make-money-by-taking-this-survey population. And that actually turned out to put the Professional Networking leader in a catch 22 situation. Looks like, today, that’s become the key purpose of the website. And that’s primarily because digital exposure in India is still limited. A big chunk of the population is yet to make the optimum use of these mediums. This is the search engine giant’s attempt to get a big share of the social networking base. From having special contracts with celebrities to making it mandatory for businesses registering even with Google Maps, it has done it all. In fact, the latest search engine update called Humming Bird, re-iterates how the search engine giant will use it’s muscle power to showcase your business, only if you have an active Google Plus account. Now that’s more like white-collared blackmailing! Unfortunately, its growing numbers are more inclined towards new user base, for obvious reasons. Number of active users is still dubious. We get a zillion junk emails everyday. Ever wondered how all this works? Obviously, there are some that we get because we share our email IDs. But most of these are from unknown and irrelevant sources. There are some who’ve opened shops of selling e-mail databases. They get some of these from interconnected sources who sell a good chunk to them. But then there are other ways that they’ve mastered too. From luring people outside malls with holiday packages to making phone calls with other promotions, they’ve got all the tricks up their sleeves, to fill up their email and other contact information databases. Excessive e-mailers have become the norm. And most of this junk leads where it actually should – Spam Folder. But looks like marketers are happy with the illusion of reaching out to their potential customers through this medium. A website is your virtual store. And in most cases it is the first thing an associate, a potential employee, investor or your customer sees. The importance of a nice and informative website is ignored by business owners. With the mushrooming of web development companies, and more lately, online DIY (Do-It-Yourself) portals that promise websites for a few hundred bucks, this aspect of the digital world is the most distorted. With common templates that smaller web development companies or freelancers create for a brand, they clearly position it into a “me-too” segment. Not that a fancy website is always the need. But a website that doesn’t complement the business, a website that doesn’t elevate a business, can categorically be described as junk! This is one section where people do put their digital exposure in India, to use. But that population is very very limited. They however, feel that aping an international website is the best way to go about things. Business owners, however, tend to take this up as a profitable deal as they save a few thousands. What they don’t evaluate is the big hit that their brand has taken in the process. The most effective, and unfortunately, the most ignored area of the digital world is Blogging. Marketers avoid it as it involves a lot more time, effort and domain knowledge. Of course, the reason also is because clients are not willing to pay for this effort of theirs. Clients avoid it because they don’t see any value in writing paragraphs on subjects that may or may not directly connect with them. The blogging community, however, is moving on an upward scale. In fact, they are the most sought-after bunch of people who’re paid to write stuff for brands, and in some cases individuals too. But the flip side here is the increase in reviews and blogs that are highly biased. Brands that began blogging for SEO (Search Engine Optimisation) purposes only, end up publishing blogs that are nothing more than a distorted set of keywords they wish to show-up with. Only if people had enough digital exposure in India, this would have been the key weapon of a lot of digital strategies. This has become one of the most common ways of monetising a website, some of them charging a fortune to lease out a few pixels. In fact, its cost can be directly compared to real-estate costs in some places. Brands, on the other hand, are not leaving any stone unturned to take undue advantage of this option. They use these banner spaces to promote their product or service even if there’s a heavy irrelevance in the aligned brand. That’s where a limited digital exposure comes in play. With content consumption being so high in the digital space, audiences tend to get irked by these forced ads. A year old phenomenon in the country, it does prove beneficial to trick the audiences online into making a purchase. In fact, it works great with impulsive buyers. But it has certainly left a huge section of innocent audience guessing. They have no clue how a specific product or service that they had browsed on a specific website ages back, still shows up on small windows across most of the websites they visit. They don’t understand that some times even after purchasing the product, the website is till trying to sell it to them with customised discounts and offers. It’s like a magnet that’s stuck on them. Wherever they go, what ever they browse, these products seldom leave them alone. Well, blame it on cookies! All in all, this is a great development, provided it’s not overused. With the limited digital exposure, it could even freak people out. content with good content only. With so many online channels at the disposal of a brand owner or a marketer, achieving the perfect mix is going to be one hell of a task. In fact, with the haywire digital exposure in India, things get all the more difficult. And when one has to show results, it’s a different ball game altogether. But there is a way out. And it’s the simplest thing to do. At the end of the day, it’s a proven fact that unique content has always been the front-runner. Websites and marketers do realize the importance of innovative and fresh content. Audiences across the globe have always acknowledged such content. Hence, investing time, money and effort in creating content will go a long way in this ever-changing digital world. When you hire some one to do a job, you need to have faith in them. If you don’t, your own skills of bringing them on board shall be questioned. To get the best out of your branding partner, It’s very important to work in sync with them. However, some times, we tend to forget that they know their job better. There is a very thin line between involvement and interference. And crossing that line would have implications on your brand. Remember, at the end of the day, your biggest asset is the brand; YOUR brand! It’s a known fact that your audience’s attention is short-lived. They are exposed to hundreds of ads every single day. It is not humanly possible for every creative communication to be out-of-the-box. But it is certainly possible to get your share of attention from every communication. All you need to do is prioritise one key message or information you wish to share with your audience. It’s time to de-clutter and focus on what you really need to say. Discuss this with your Branding Partner and they’d love to help you out with this. Ego is a sign of weakness. And building a brand is not for the weak-hearted. Only when your ego is at bay, your brand will be in focus. Discuss, share, explore… but don’t exploit. A Branding Company comprises creative and sensitive people, who are excited about the work they do. It is this excitement that keeps them going. They like to add value to your brand. Working with them as a team adds to their excitement, and it can take your business ahead; beyond what you can imagine. If you like something your Branding Company has done, it always pays to be vocal about it. It’s a know fact that creative people value honest appreciation more than anything else, even money at times. Nonetheless, we cannot deny the importance of feedback; constructive feedback. Picture this – if something goes wrong, don’t you make a huge fuss over it? But what makes you think a zillion times before you share a few words of appreciation when something goes great? It’s a myth that appreciation makes people complacent. In fact, it’s a proven way to get the best out of your branding partner. Finally, we come to the last but not the least tip. Your Branding Partners are service providers, and they provide a very important service. Not clearing their dues on time doesn’t give a good picture of your brand to them. It’s a sure shot way of making sure that you don’t get the best out of your branding partner. Most importantly, what occupies maximum space in their head is the money you owe them. At the end of the day, every business needs money. And your Branding Partners are no different. By paying them on time, you’re actually helping your own brand. This way they’ll invest more time in developing your brand instead of following up with you for what you owe them. Ready to get the best out of your branding partner? These simple tips will take your business and association a long way. Every business needs great associations that would help them survive and make a difference. So, it’s not that very difficult to get the best out of your branding partner. Remember that nothing is built overnight. So, be patient and work closely with your Branding Partner, and get set to give your brand the edge it deserves. Best Advertising Agency In Hyderabad – What Could Be Their Milestone? Milestone is synonymous to words like business, organizations and entrepreneurs. It is what liter is to liquid – a measure. It is like any degree or credential that you’d have; more of a brand value of an organization and an individual both. We all know the dictionary meaning of the word “milestone”. In fact, this word is overtly used in a zillion places (read presentations, annual meetings, client reviews, appraisals, etc.). We hear this word so often that it almost puts us to sleep. But have you ever wondered on what could be the milestone of the Best Advertising Agency in Hyderabad? 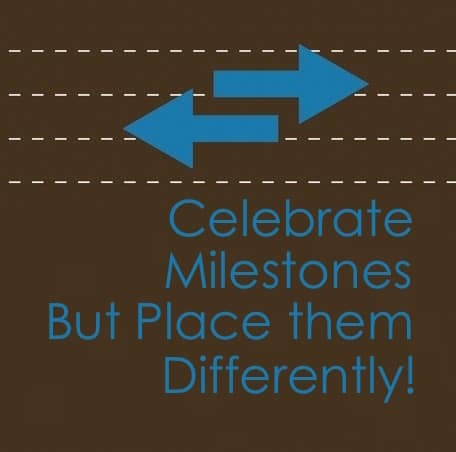 Celebrating milestones is certainly of the best things an organization and a leader can do. It peps-up the environment, boosts the productivity of its people and helps the organization climb up the ladder. But in this quantitative world, where every conversation has to lead to a visible gain, every meeting has to lead to a materialistic conclusion, every penny has to lead to a negotiation, we tend to place our milestones with an approach that is too narrow, and sometimes hollow; we place them where the results are. The bests don’t do that. Specially, the Best Advertising Agency in Hyderabad would never! An organization is never about a single person. As much as you call yourself the leader who’s done it all, it is always about a set of people. Despite the fact that you’ve been responsible to bring these people on-board. Entrepreneurs tend to get way too aggressive while placing their milestones. At times, they are so aggressive that they tend to ignore any other person who’s associated with this milestone. The situation then looks something like this – A leader who’s seeing a milestone clearly, has conveyed it to his team as clearly, is moving at a fast pace towards it and is also pushing his team with the same force. His team, however, just pretends to be moving with as much zeal. And what comes next is a reality check. After a half yearly review, the leader along with his team is nowhere closer to the milestone! Well, the reason was that the team was never in the consensus with the leader. They felt that the milestone he set was too unrealistic. It’s good to be crazy. But to be the best, you’ll need to be a little realistic too. Unfortunately, in this case the Best Advertising Agency was not. Now, you may argue that you’ll never be able to set a milestone that would be accepted by every single person of your core team. This is possibly a realistic and a common scenario too. But have you ever heard of the word majority? Exactly! When the majority of your core team decides to agree with your milestone(s), the probability of you, as a company, achieving it is way higher. At least, this way you know that more than 50% of your team is with you. In fact, you can get them to set the milestones for themselves. This way they’d be taking more ownership of reaching these milestones too. This is an unorthodox way of placing milestones. The only difference is the fact that the probability of achieving these milestones is a bit higher. The flip side however, is that your core team might not necessarily be as aggressive as you are. Hence, it might work out milestones that are less aggressive. But they’d certainly be more achievable. Here, the choice is yours; you can either set milestones that look great on paper but might not necessarily sound realistic and achievable to your team, or you can let your core team set simpler but highly achievable milestones. In our day-to-day rush to meet business challenges and work towards innovation, we tend to forget that milestones can be placed differently. In business terms a milestone is perceived as a destination. Very few leaders feel it’s a journey. But one of the most effective placements of a milestone is somewhere in between. To evaluate the effectiveness of this strategy of placing a milestone, an Art Director of the Best Advertising Agency, invited a few creative writers. These writers were divided into two teams – Team A and Team B. Both teams were given a brief to work on a launch campaign for one of its clients. This was the launch of a new energy drink – Octane. The client wanted to position their drink in the premium segment. They were well aware of the existing market leader in this segment. Due to smaller marketing budgets, they wanted something that was not just a strong launch campaign, but would also help them place their product in the premium segment. The writers wore their thinking caps, and began to pen down some interesting ideas. After a long brainstorming session, both teams realized that they had to create an aspirational value for the brand. They also decided to focus on their target audience who’d in-turn become brand loyalists. The teams then started working independently. Both the concepts were shared with the client. But the Creative Director of the advertising agency chose to reward one of the teams (Team A), the moment the concept was shared with him. However, he was not too convinced about the concept that Team B shared. He knew it was great too but he decided to wait until he heard from the client. After a few days, the client got back saying that they liked the concept by Team B better. In fact, they shared a very valid reason for the same. They felt that though the first concept was strong, it clearly divided their audience and boiled their product down to an only-for-men product. The Creative Director then realized that he had misjudged the client and the idea that was shared by Team B. He, later, decided to call Team B and reward them too. By now, both the teams were rewarded. The only difference was the timing. Though, the concept shared by Team B was finally approved by the client and they were rewarded by the Creative Director, they didn’t really like two things about him – he rewarded them only after the client approved their concept and the fact that he rewarded Team A way before he heard from the client. There was clear discrimination and he came across as biased. However, what didn’t really work for him was the timing. Not something that should have happened at the Best Advertising Agency in Hyderabad. 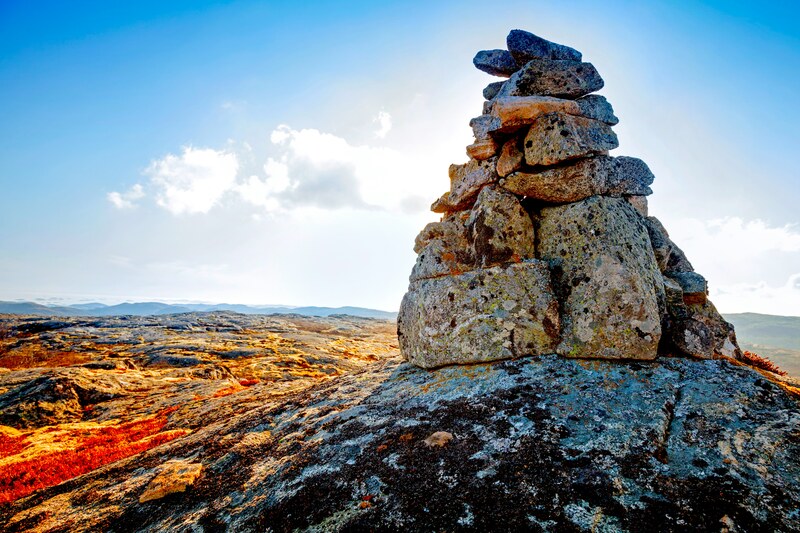 The idea of placing milestones differently is more about understanding the fact that a milestone is not a destination, it’s not even a journey; it’s in between! Well, in business terms, the journey in this case was the process that involved the teams working on ideas. And the destination was the client approving these ideas. But only if we choose to place our milestone, when we are closer to the destination and when we have put in all our efforts, it would work wonders for an organization and it’s people. We can choose to, without discrimination, reward our people and celebrate the mere fact that the best efforts were put in. This should be unbiased and irrespective of the final outcome (client’s approval in this case). This might not necessarily guarantee the project to you. But this will certainly let your people know that you value their efforts purely as they are; without being biased or influenced by any external factors. The milestone should be placed where you end up putting all your efforts – just before the destination is reached. That’s the hallmark of the Best Advertising Agency in Hyderabad.